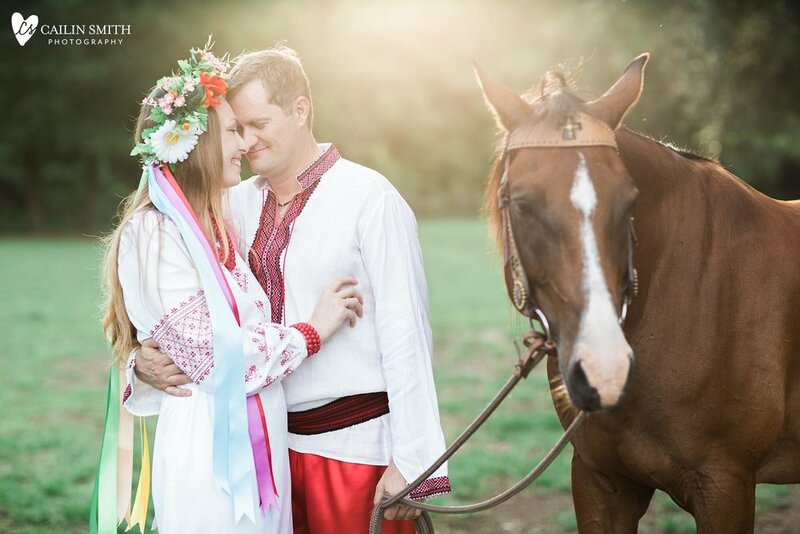 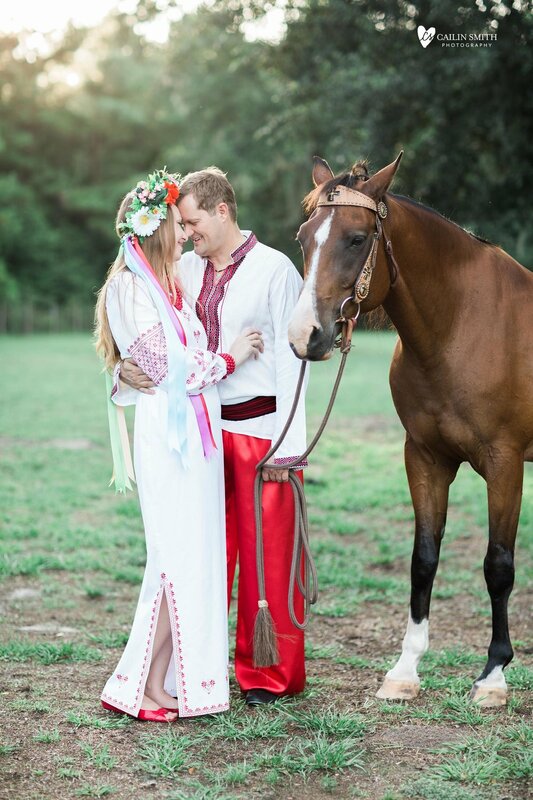 I cannot get enough of this golden light, the traditional Ukrainian costumes and stoic horses! 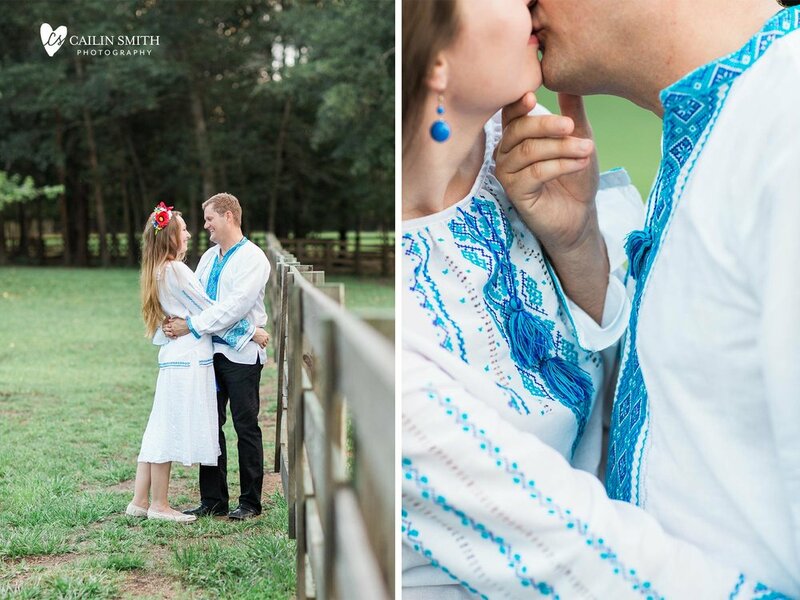 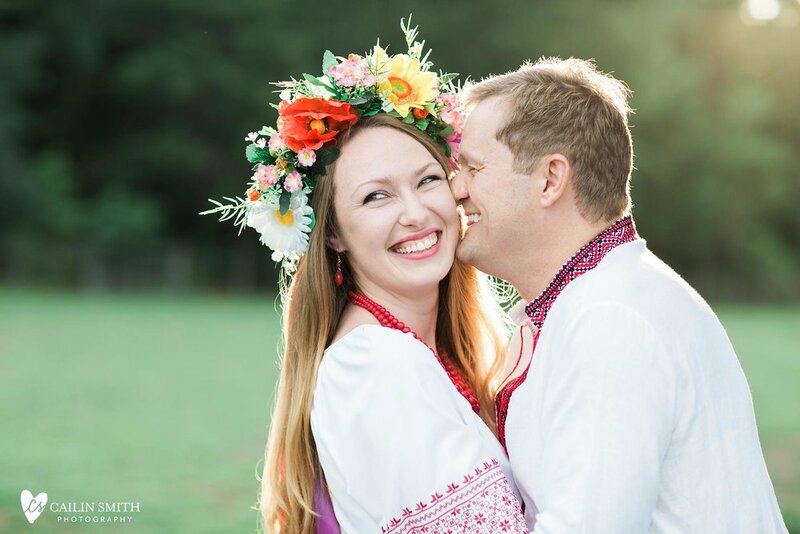 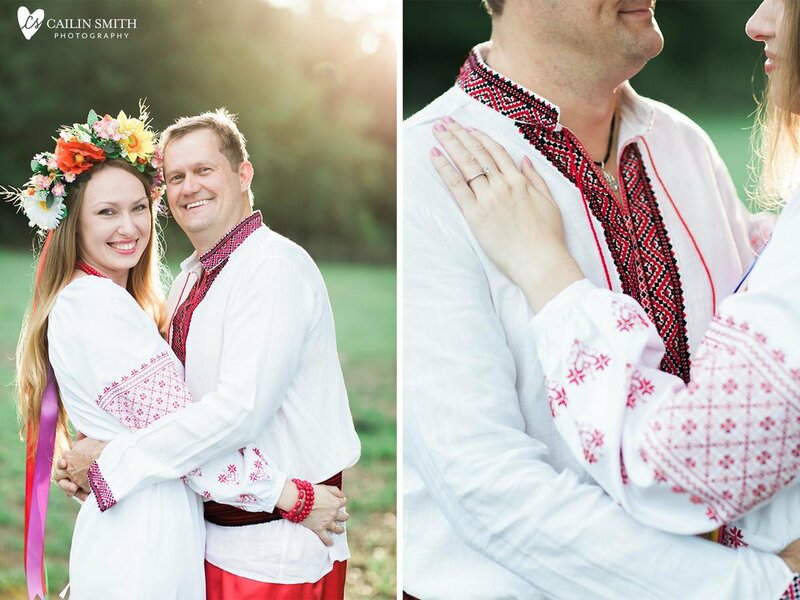 Tetiana wanted to bring her Ukrainian culture into their engagement shoot and I am SO happy she had this stunning vision. 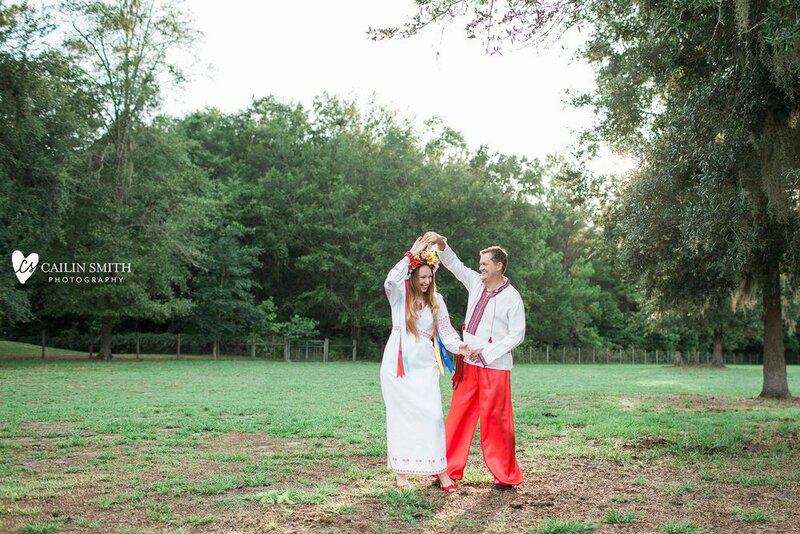 I love the way the red and blue pop against the golden sunset. 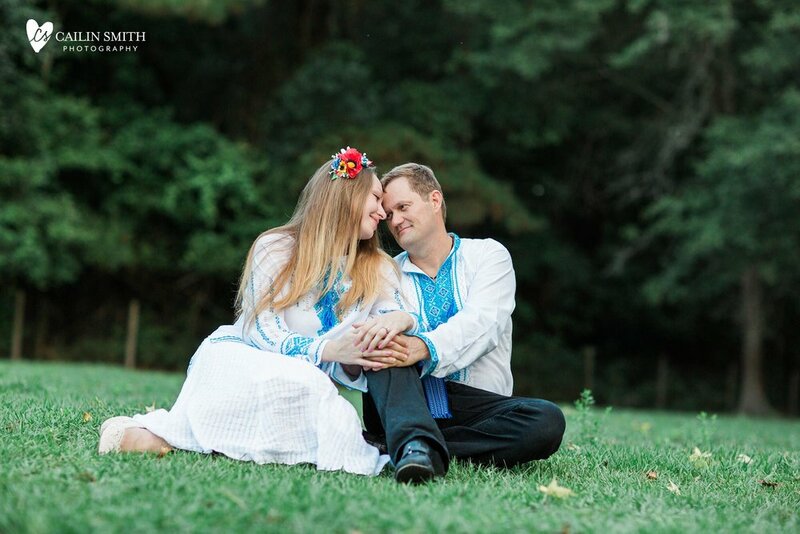 Mixed with Tetiana and James's unmistakable joy, I'm giddy over the pretty!!! 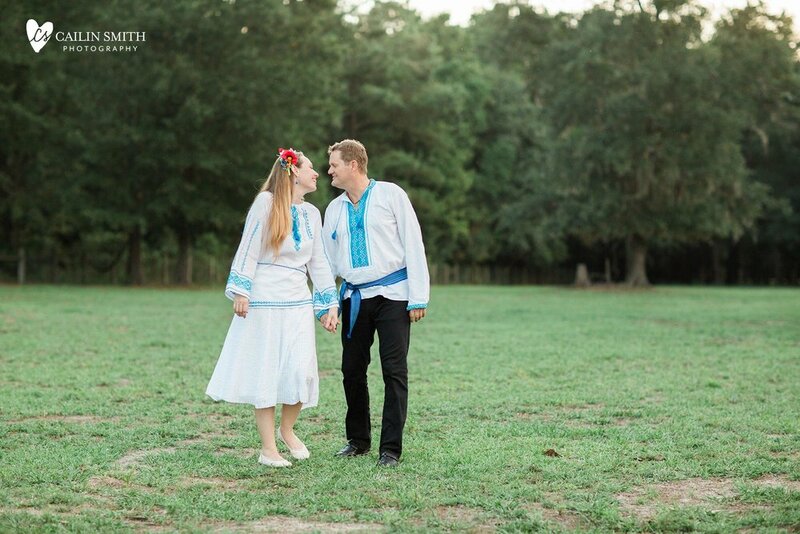 Congratulations, Tetiana and James! 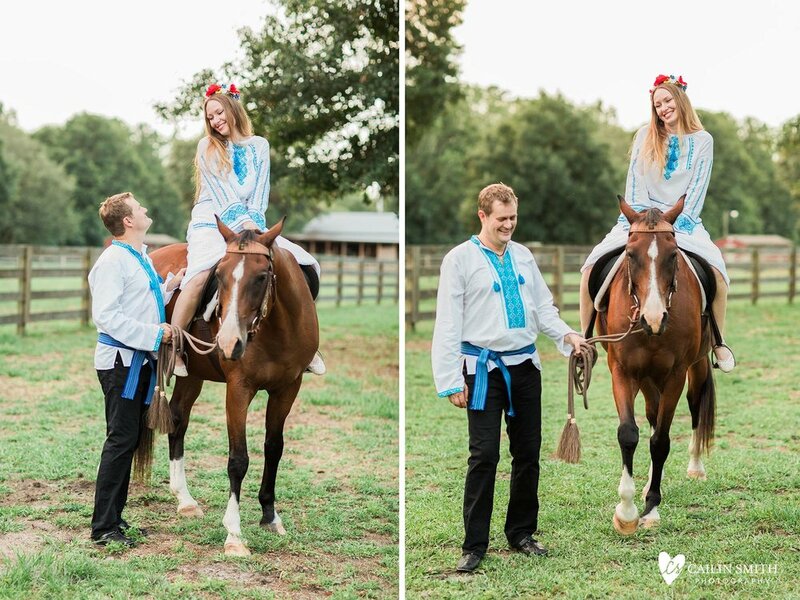 And a VERY big thank you to Triple C Ranch for lending us your horses!